This auction is for the actual blue jersey worn by #1 Dylan St. Cyr. 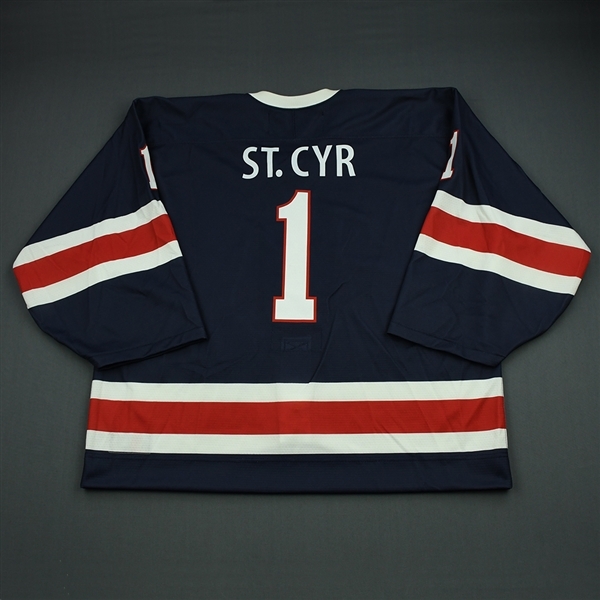 St. Cyr played in the second and third period. He plays for the University of Notre Dame. 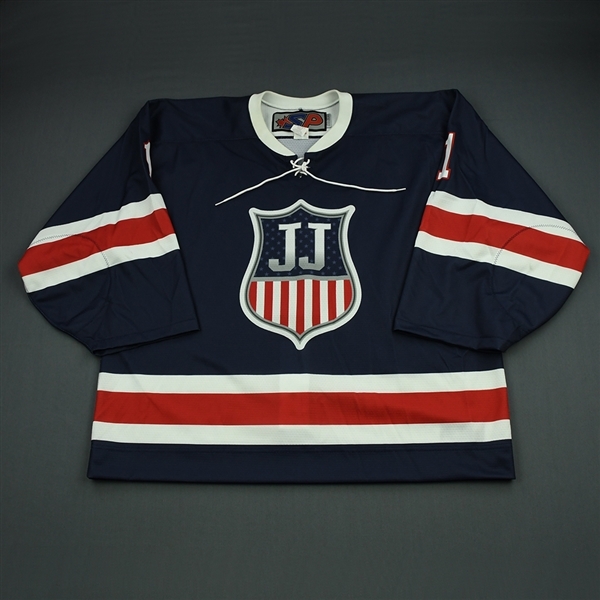 He is the son of famed women's goaltender Manon Rheaume. 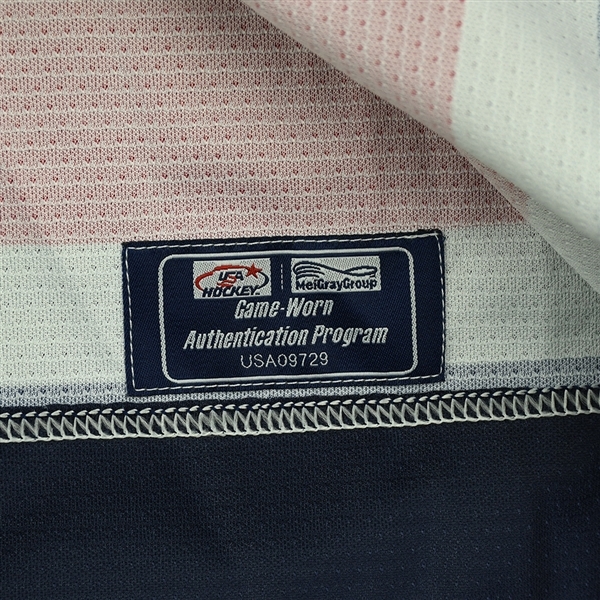 This jersey, a Size 0, has been registered in the USA Hockey-MeiGray Game-Worn Authentication Program as number USA09729.